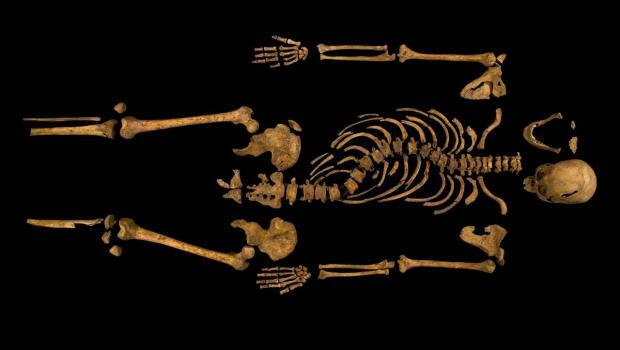 Richard III’s skeleton, showing a massive skull fracture and evidence of corpse desecration. I don’t know about the rest of you, but I find the story about the discovery and identification of Richard III’s remains just about the coolest historical and biomedical discovery since Thomas Jefferson’s DNA was found in Hemings family descendants back in the last century. It’s a terrific example as to how the historical and archaeological records are still viable and valuable in investigations like this. I’m sure my students in Life and Death in Early America will want to talk about this when we meet for class this week! Gotta go–I’ve got a lecture about disease and death to deliver this morning! Having been fascinated with the wars of the roses for years, I’m totally stoked about this discovery. I’m obsessed with this story. My work lies in three different disciplines. I saw many examples of interdisciplinary work; some of it brilliant. Welcome to the club (and I mean it). I’ve been seeing notices of this on the internets. Is this all confirmed and stuff? If so: way cool. This story renewed my love of material culture studies and history. My kingdom for the survival of maps and other evidence to create such finds!